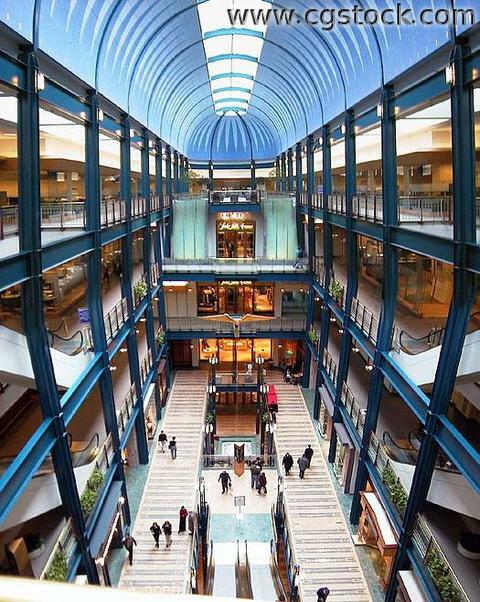 You are looking down from the fourth floor of Gaviidae shopping center, located on Nicollet Mall between 6th and 7th Streets. This is the north half, or the Saks 5th Avenue wing. Behind you, across 6th, is another wing. This image was made from two pictures merged together.